For a contractor, commencing a construction project provides multiple rewards. In addition to collecting payment for the project, upon completion, the contractor will also have something that it can point to and say “That’s something we did” should another property owner ask. In essence, each construction project becomes a contractor’s calling card. As a result of these factors, contractors have an incentive to finish a project on schedule. And, in most cases, construction projects are, in fact, finished on time. However, in some cases, a delay occurs. If the delay is not the fault of the contractor, it may be worthwhile to retain the services of an attorney experienced in construction law to ensure that the contractor obtains some form of reimbursement for its troubles. Recently, the construction of the Atlantic Coast Pipeline was halted by court order. Specifically, the U.S. Fish and Wildlife Service (FWS) assented to the construction of the pipeline. However, the U.S. Court of Appeals for the Fourth District suspended the permits issued by the FWS, alleging that the pipeline would encroach upon the habitat of four endangered species. This suspension will a have a ripple effect on the contractors slated to do the work, and result in the loss of substantial sums of money. 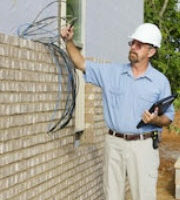 If possible, the contractor should try to recover the money lost due to the disruption. A discussion of the distinction between construction delays and construction disruptions, and what to do to request reimbursement for a disruption, will follow below. Courts typically impose different meanings to construction delays and construction disruptions. Generally, a construction delay means the delayed completion or suspension of a construction project due to the inability of a party to perform under the contract. Examples of construction delays include weather (beyond the normal expected weather for a construction project’s location), incomplete project documents, and untimely decision making by the owner. A disruption, on the other hand, refers to a construction project that could be timely completed but nevertheless caused disruption to the contractor. Thus, a disruption occurs when the contractor is forced to less efficient because of the actions of others; that is, when third-party actions make the work more difficult and expensive to perform than reasonably anticipated. Referring to the above matter as an example, the stoppage of construction has nothing to do with the ability of the construction company or the property owner, but is exclusively the fault of a third-party (i.e., the court order). Finally, one should always be cognizant of the statute of limitations in construction contractual disputes. All legal actions involving construction contracts must be filed within four years of the date of actual possession, the date of the issuance of a certificate of occupancy, the date of abandonment of the construction, or the date of completion or termination of the contract, whichever is latest. As such, a contractor should speak to an attorney regarding any issue of disruption as soon as possible. Although the primary factor between a delay and a disruption is who caused the stoppage (a party or a third-party), it still can be difficult to prove a disruption occurred, allowing the contractor to obtain reimbursement. Thus, contractors should get into the habit of collecting a detailed set of records, both project-based and task-based, to show that the stoppage should be attributed to a third-party. These records should also include defensible productivity records of prior work to indicate how long specific projects had taken in the past. Additionally, daily logs that note information more than the weather and work progress should be kept, which show all impacts and impediments to progress, as well as any costs associated with such impacts and impediments. An experienced attorney can help prepare a contractor to keep these records. If you have been delayed in your ability to finish a construction contract, due to factors beyond your control, contact an attorney experienced in construction law as soon as possible. As alluded to above, you may be able to request damages as a result of a disruption. The Florida construction law attorneys at Linkhorst & Hockin, P.A. have years of experience in dealing with construction disruptions. We will review the circumstances of your case, and, if we believe you have been affected by third party issues, will help you plan the most effective strategy to request compensation for your troubles. Contact our Jupiter office today.